This ribbon is composed by 5 panels: Yellow, Magenta, Cyan, Black, Overlay. It is used for creating single side color printed cards. It is for the Primacy/Zenius card printer for single side color printing. You get 100 cards single side printed with this easy to use ribbon. The high quality Evolis Card Printer ribbons give you the exact great color your card design that you create. 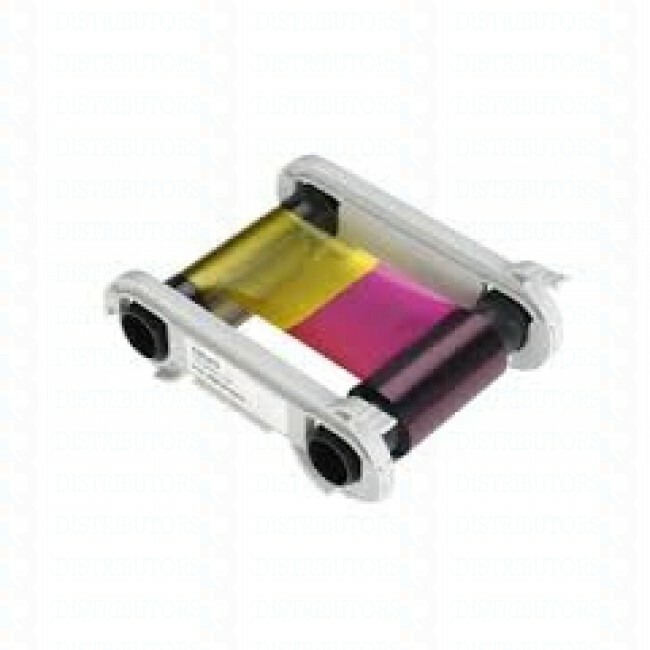 Evolis R5F001AAA 5-Panel Color Ribbon - YMCKO 100 Prints/Roll This ribbon is composed by 5 panels: Yellow, Magenta, Cyan, Black, Overlay. It is used for creating single side color printed cards. It is for the Primacy/Zenius card printer for single side color printing. You get 100 cards single side printed with this easy to use ribbon. The high quality Evolis Card Printer ribbons give you the exact great color your card design that you create.